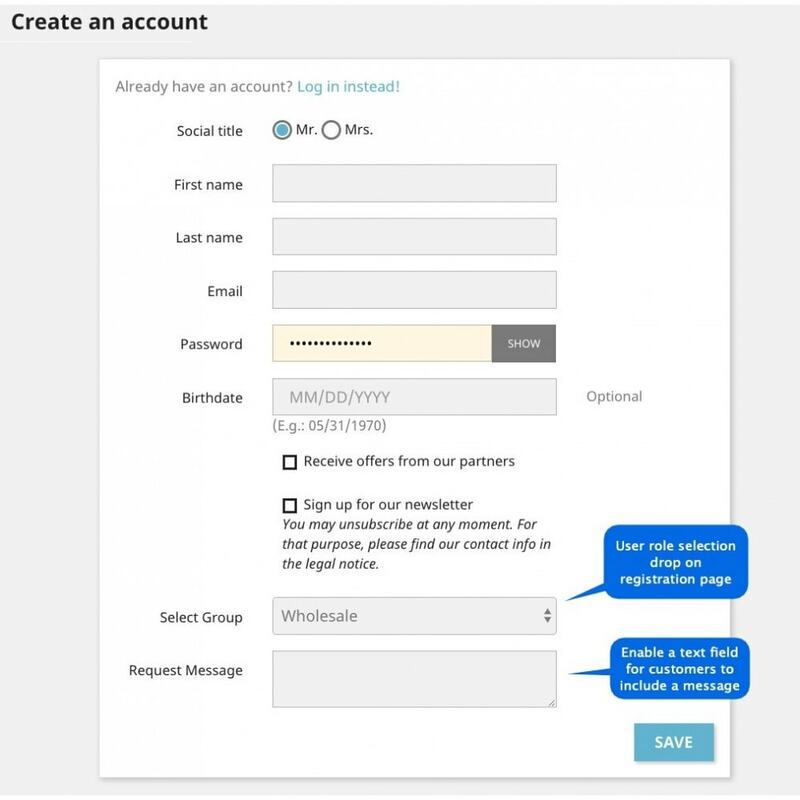 Admin can now allow users to select a suitable customer group during registration. 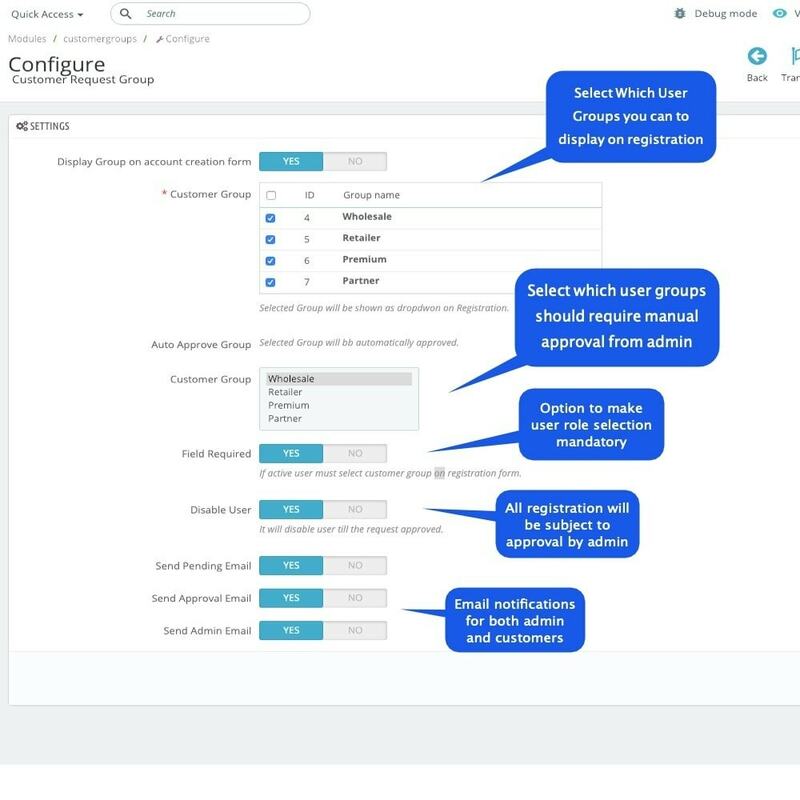 This allows admin to assign correct customer group to each user. Instead of doing it himself the admin can leave this judgement for his customers. 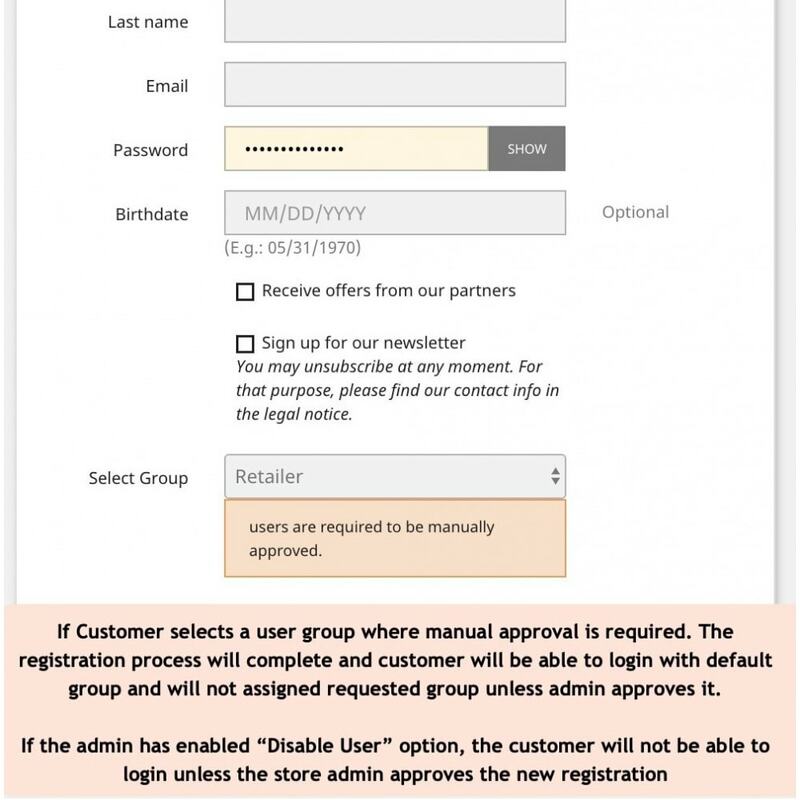 At the same time, the store admin can put the VIP customer groups on manual validation. 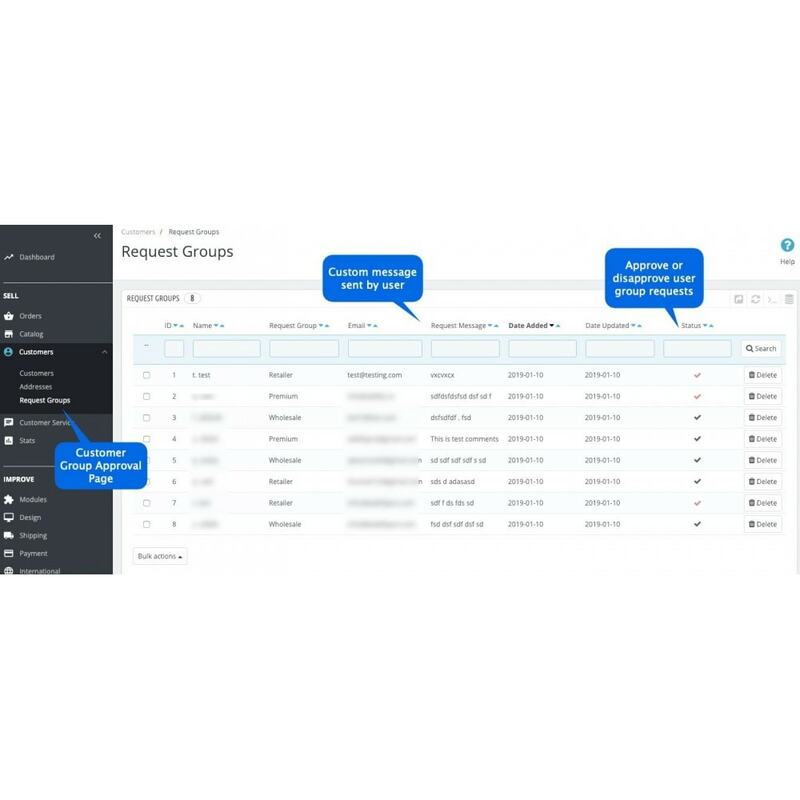 The store admin can validate and approve the special customer groups from Backoffice. This will ensure that only an approved user will be able to enjoy the benefits linked to those VIP customer groups. Display a custom notification message on registration page when user selects a customer group for which admin approval is required. 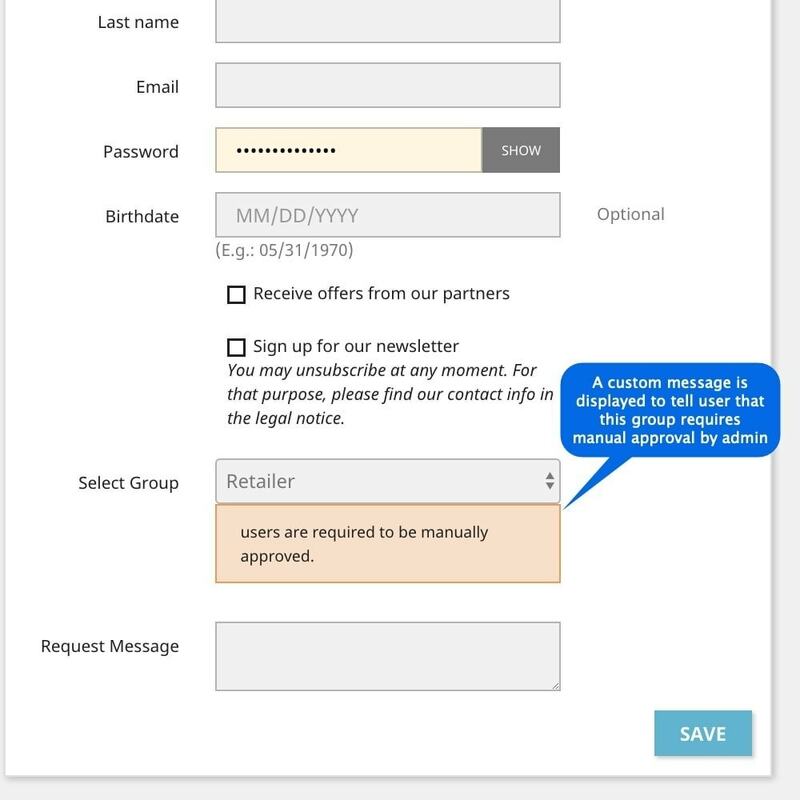 Option to include a text message field on registration page to let customers include any special message or any other information that admin might need to validate and assign the requested customer group.